Translocation and assembly of the leukotriene biosynthetic complex. 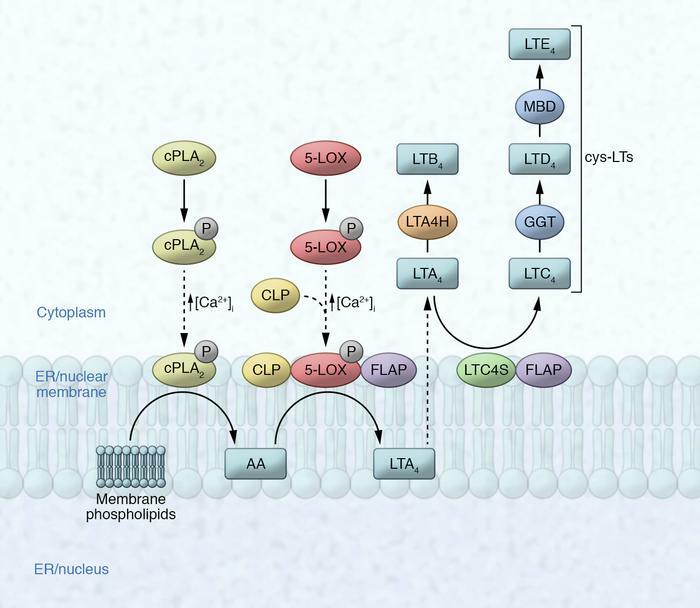 Schematic model for translocation of cPLA2 and 5-LOX, together with CLP, to the ER and perinuclear membrane, where they meet up with FLAP and LTC4S. LTA4H stays in the cytosolic compartment. Ser phosphorylations of cPLA2 and 5-LOX are indicated. GGT, γ glutamyltransferase; MBD, membrane-bound dipeptidase.